Putting together a little fiesta would be so easy – and so tasty.Think of all the different foods you could try- whether you are just making one special dinner for your family that night or going all out and holding a flavor-packed fiesta! For an appetizer, you could always do a classic bean dip. There are so many recipes out there for 7-layer dips- just pick one and go for it! My personal favorite is a layer of refried beans, followed by a layer of guacamole, topped with a layer of sour cream mixed with taco seasoning; top it with shredded cheese, sliced olives, diced tomatoes, and sliced green onions- so good! Forget the appetizer idea this could just be my dinner. But try some different variations and see what tickles your tastebuds. 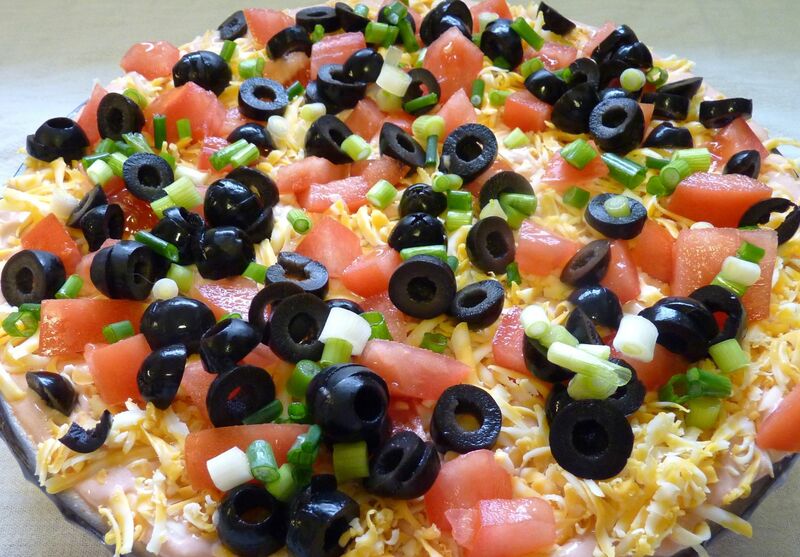 You could also do nachos- another food that has so many possibilities. You could go with a basic cheese sauce, or go crazy and add jalapenos, diced tomatoes, diced avocado, green onions, cilantro, sliced olives, sour cream, or all of the above for some seriously packed-with-deliciousness nachos! Add some meat like shredded pork or ground beef, and you could make this into a meal instead of an appetizer. 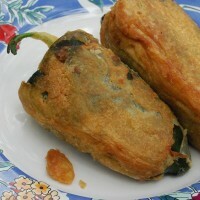 Or you could make chile rellenos- another highly addictive food! Cook poblano peppers in the microwave, wrapped in a wet paper towel for a couple minutes. Cut a slit and remove the seeds and replace with Monterey Jack cheese and dip in a mixture of egg and flour and fry in oil- so so good. I included a very basic recipe but experiment with different cheeses and seasonings in your breading til you find the most addicting combination. And of course, there’s always your basic chips and salsa- could you ever go wrong with that? So yummy. My family could probably go through a whole bag of chips and thing of salsa in one night- my 2 year old eats just as much as my hubby and I when it comes to salsa (a boy after my own heart!). You could buy salsa from the store or make your own! Homemade salsa has so many possibilities- mango salsa, anyone? Then dinner options- because sometimes you crave more than just an appetizer when it comes to Mexican food! Tamales, tacos, enchiladas, quesadillas, burritos- there are so many options. Throw in any kind of meat- ground beef, shredded beef, shredded chicken, shredded pork, shrimp- you can’t go wrong. I particularly love flavoring my meat with lime and cilantro or with seasoning salt, cumin, chili powder and Frank’s Red Hot Sauce. Deliciousness! And then- there’s dessert. Maybe it’s because I was born on Cinco de Mayo, but my body was born to crave Mexican food- and dessert is no exception! 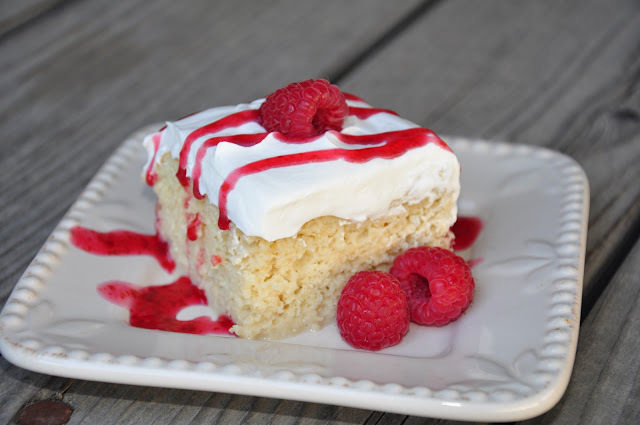 One of my all-time favorites is Tres Leches cake. So moist and so yummy! If you make nothing else for Cinco de Mayo- this is a definite must! And then there’s churros- oh my goodness my mouth is watering just thinking about biting into one of these beauties. 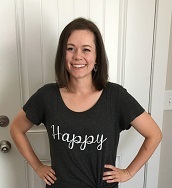 Another basic with which you can’t go wrong. Lastly, behold this delicious dessert version of nachos. 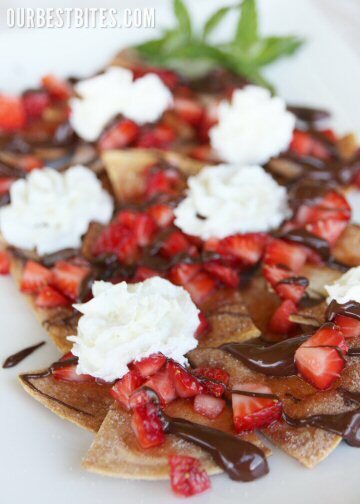 Bake homemade cinnamon chips, sprinkle with chopped strawberries (soaked in sugar), drizzle with melted dark chocolate and top with whipped cream. Chocolate, strawberries, cinnamon and whipped cream? Sounds like heaven to me. I think I have just barely scratched the surface of all the amazing possibilities you could experiment with this Cinco de Mayo. I would love to hear of any Cinco de Mayo traditions or recipes you use for Mexican food cravings you have. Whatever you’re cookin’ in your kitchen, I hope you have a happy and flavorful fiesta! Found on http://www.mygardeninsider.com; a very basic version, so experiment a little! Wrap the peppers in a wet paper towel and microwave on high for 2 1/2 minutes. Allow to cool and carefully peel off the skin. Make a slit in the side of the peppers and scrape out the seeds. Beat the egg whites until stiff and firm. Add the flour and mix. Beat the egg yolks. Stuff each pepper with the cheese then dip in yolk, then egg whites. Fry in hot oil for about 2 1/2 minutes or until golden in color. Moist, rich, and oh so sweet! You could also substitute coconut extract for the almond extract and for one of the vanilla teaspoons in the topping for a very delicious variation! This cake tastes especially yummy with a fresh fruit sauce. The cake needs to chill overnight so be sure to give yourself plenty of preparation time. In a large mixing bowl, beat egg whites until soft peaks form. Gradually beat in sugar until stiff peaks form. Add yolks, one at a time, beating until combined. Combine the flour, baking powder, baking soda and salt; add to egg mixture alternately with water. Stir in extract. Pour into a greased 13-in x 9-in x 2-in baking dish. Bake at 350 degrees for 35-45 minutes or until a toothpick comes out clean. Cool on a wire rack. Poke holes in cake with a fork. Chill overnight. In a saucepan, combine condensed milk, cream, corn syrup and evaporated milk. Bring to a boil over medium heat, stirring constantly; cook and stir for 2 minutes. Remove from heat; stir in vanilla. Slowly pour over cold cake, letting mile absorb into cake. Cover and refrigerate. In a mixing bowl, beat cream until soft peaks form. Gradually beat in sugar until stiff peaks form. Stir in vanilla. In a bowl, combine the sour cream, confectioner's sugar, and extract. Fold in whipped cream. Spread over topping. Refrigerate until serving.